Dolce & Gabbana, Printed Poplin Shirt, buy here. Dolce & Gabbana, Mambo Print Pleated Skirt, buy here. Elizabeth and James, White Sunglasses, similar here and here. Oscar De La Renta, Vintage Earrings, similar here. 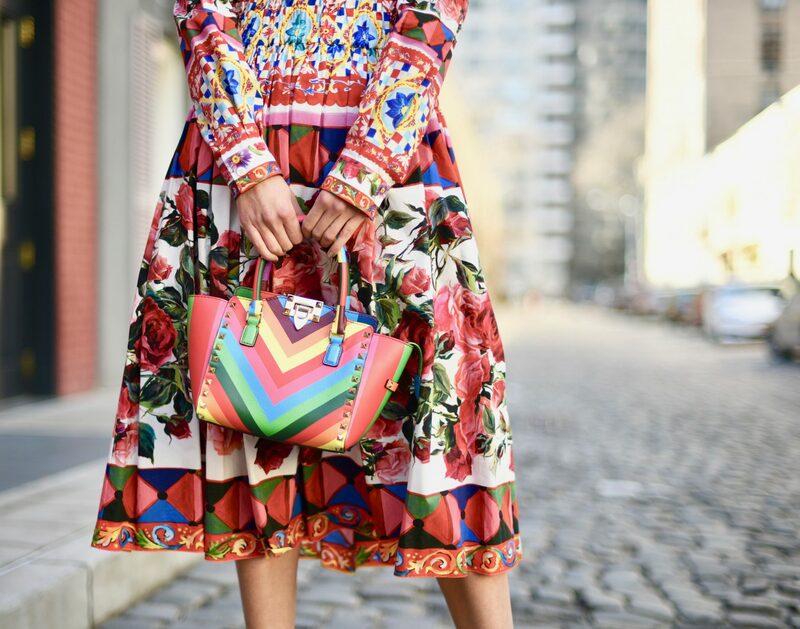 Valentino, Rainbow Rockstud Bag, similar here. Manolo Blahnik, White BB Pumps, buy here.